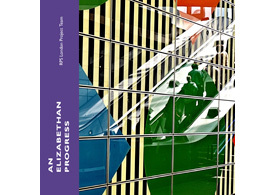 An Elizabethan Progress is a group photographic project, based on tracing the route of tunnelled sections of London’s new Elizabeth Line (Crossrail) at surface level. The aim is to photograph places and happenings, which are linked by Crossrail in the tunnels below. Project participants include Philip Brown, Michael Colman, Hilary Everett, Mo Greig, Lorraine Grey, Anila Hussain, John Kelly, Greg Lambert, Susi Luard, Dee Mistry, Wendy Nowak, Norman Smith, Val Straw, Anne Roache, Romney Tansley and Michael Turner.